Zhejiang Howell Illuminating Technology Co., Ltd.
Roadway lighting is designed for freeways, express ways, limited access roadways, and roads where pedestrians, bicyclists, and parked vehicles are generally not present. The primary intention of roadway lighting is to create instant, accurate and comfortable vision at night to make streets and highways useful during the night and also during the day. Roadway lights help the vehicle driver remain on the roadway and assist with the recognition of obstacles within and beyond the range of the automotive headlights. Proper and adequate lighting can thereby help reduce nighttime accidents, aid police protection, facilitate traffic flow and promote business, industry and community well-being in the area. Roadway luminaires are presented with several types of light sources and wattages ratings. Roadway lighting luminaires exhibit an array of symmetric and asymmetric distributions. Roadway illumination has light distribution characteristics in which light is spread widely in a direction of a lane axis of a roadway, as opposed to a symmetrical light distribution, in contrast to general indoor illumination or other general illumination. The roadway lights traditionally make use of high intensity discharge (HID) where sodium in the case of a high pressure sodium (HPS) lights or a mixture of gases (by passing an electric arc through them) in the case of metal halide (MH) lights are employed to produce light. 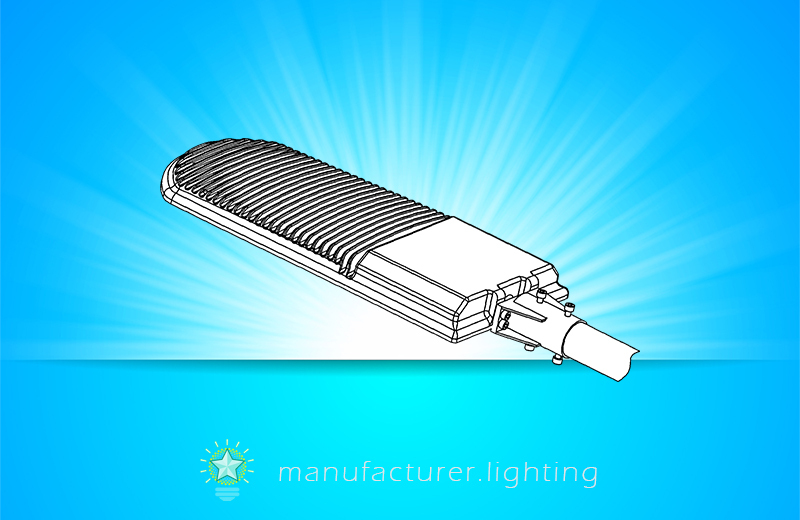 Light emitting diode (LED) based lighting fixtures provides better efficiency, light quality and controllability. They are designed to satisfy the most demanding specification criteria and provides maximum energy savings, reduced maintenance expenses, and an exceptional quality of light. Specially designed to optimize efficiency, these LED roadway lamps are well suited for lighting roadways with an abundance of light while reducing energy costs. Roadway light controllers are used all over the world to control the operation of roadway lamps. Common roadway lighting types include a round spot, an elongated or oval pattern, or an almost square pattern, on the ground. Additionally, there are specialized variations. Roadway luminaires typically use high power LEDs to provide adequate illumation. Popular LED brands including as CREE, Philips Lumileds, Osram, Bridgelux, Samsung, Epistar, etc. Light engines are used in many roadway lighting applications. The outdoor LED light engine utilizes optics and reflector technology for efficient light distribution. The modular design offers versatility. An electronic driver (power supply) regulates a constant drive current to the LED chip. The driver has circuitry that offer output short circuit protection, surge voltage protection, and over voltage protection. A control circuitry is typically included for light control, time control and remote control. Light-sensitive photocells, for instance, turn roadway lights on at dusk, turn them off at dawn or activate them automatically in darkness.